You may have spotted these spring beauties enjoying our spring sunshine the past few days. Just when it seems spring flowers will never arrive; out pop the crocuses. These delicate spring beauties are among the earliest spring flowers. They’re about five to ten cm tall and the blooms come in a variety in colors -pinks, reds, oranges, yellows, purples, blues, and more. They are found growing in a range of conditions, from woodlands to coastal gardens to suburban lawns. Crocuses are most often planted for early spring color, although there are also varieties that bloom in late fall and early winter. They truly defy the bleak late-winter weather and landscape. The name crocus is derived from the Greek word krokos, which means “saffron”. While most gardeners enjoy crocuses for their beauty, the spice saffron is obtained from the stigmas of Crocus sativus, an autumn-blooming species. Cultivation and harvesting of Crocus sativus for saffron was first documented in the Mediterranean, notably on the island of Crete. Many of the commonly found spring-blooming crocuses are hybrids of Crocus vernus (Dutch crocus), with large, single flowers; or Crocus chrysanthus, which blooms a couple of weeks earlier and has smaller, but more profuse blooms. The crocus originates in the Mediterranean regions and parts of Asia and China. They were brought to the Netherlands in the 1500s and quickly found their way across Europe. They were one of the first bulbs brought to the New World. 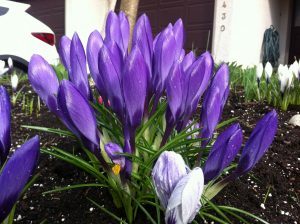 Crocus are corms and must be planted in the garden in fall to produce the beautiful flowers in spring. Crocuses are very adaptable and small enough to be tucked into flower beds, under trees or even in the lawn. There are over 80 species of crocus, but most of the corms available are mixes of different species and varieties. Roughly 30 different varieties are commonly sold and planted. The hybrids tend to bloom a little later, and mixing them with other species of crocus will give you a longer period of bloom. Crocus bulb hardiness will vary slightly depending on which type you are growing and exposure, but most crocuses are reliable within USDA Hardiness Zones 3 to 8. They bloom and survive best where winters are cold. Crocus corms need a 12 to 15 week period of cold temperatures (3 to 7 degrees C.) to set their blooms. 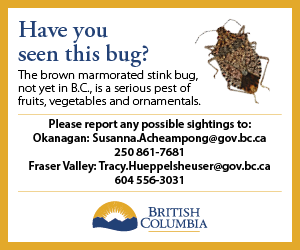 Just don’t forget to plant the corms in fall. What is the Difference Between Cow Cheese and Goat Cheese? 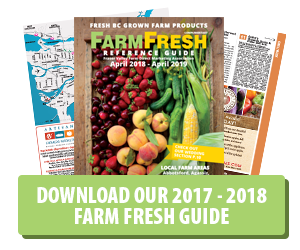 The Farm Fresh Reference Guide is produced by the Fraser Valley Farm Direct Marketing Association in cooperation with the BC Ministry of Agriculture.